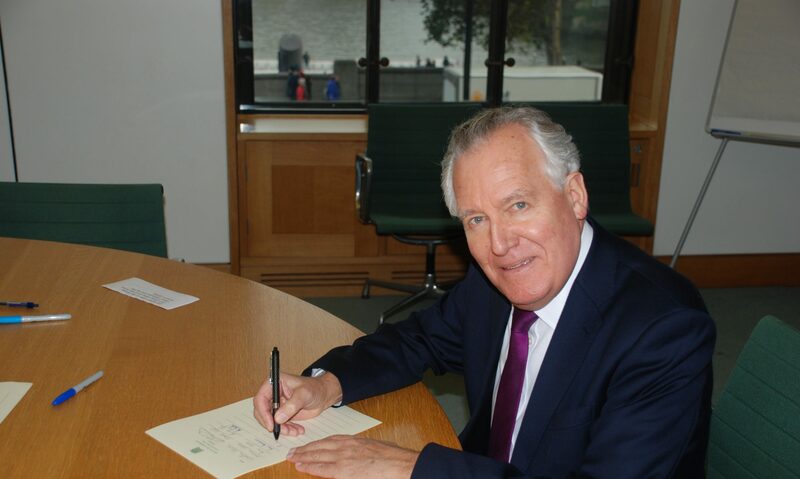 Mr Peter Hain (Neath) (Lab): Notwithstanding the disagreement over an inquiry, may I commend the Prime Minister for the searing honesty of his statement, which allows the whole House to express solidarity with the Finucane family who are with us today? What this report and the Prime Minister have revealed is even worse than I thought and was informed about as Secretary of State for Northern Ireland. The fact that special branch agents and members of the Army’s force research unit were involved and up to their necks in this murder is horrendous. Does the right hon. Gentleman think it right therefore that Colonel Gordon Kerr, commanding officer of the force research unit at the time, should have been promoted subsequently to brigadier? The Prime Minister: First, let me echo what the right hon. Gentleman said about the Finucane family. They have carried out a very respectful, very legitimate and perfectly fair campaign, because they want justice for the appalling wrong done to Pat and the appalling way in which he was murdered. I had a meeting with them last year, and while, obviously, we did not agree about the outcome, I hope they can see that I was sincere in saying that I would open every door, I would open every part of Whitehall and do everything I could to try to get the fullest, truest picture of what happened as quickly as possible. I profoundly believe that that is the right approach, rather than a costly, lengthy public inquiry, which might not—may well not—get as far as this report. On what the right hon. Gentleman says about the specific individual, much information about what individual people did is in that report. As I have said, it is now open for different authorities to take the steps that they find appropriate. I have specifically asked the Defence Secretary, the Northern Ireland Secretary and the Cabinet Secretary to examine what is in the report and to give any lessons back directly to me, which I will then publish.